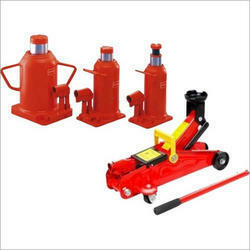 We are a leading Wholesale Trader of hydraulic power jack and hydraulic jack from Chennai, India. 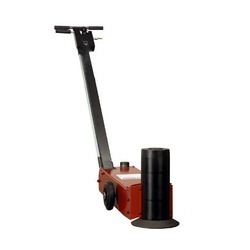 Our organization has gained immense accolades in offering Hydraulic Power Jack to our clients. Our entire range of this power jack has been developed in accordance with laws of hydraulics. This power jack is truly reliable and is offered in different specifications. This power jack could be operated with ease and is free from defects. It has been approved by international bodies. Client satisfaction is our main objective. Meeting the demands of customers as a manufacturer, trader, distributor and supplier, we are engaged in presenting Hydraulic Jack. These hydraulic jacks are integrated by utilizing best grade basic material according to the specified quality standards under the direction of competent experts. The offered hydraulic jacks are processed & tested at our working location by our professionals. The offered hydraulic jacks are provided with several customized options at very affordable rates. Looking for Hydraulic Power Jack ?